Wedding clothes are an incredibly important component of a couple’s big day. And though there are plenty of decisions, plans, and payments that go into those wedding suits and gowns, they’re usually only worn for a couple of hours, if that. Some choose to sport their wedding attire more than once like this couple does, but many wedding dresses are retired to the back of closets once the ceremony is over, slowly collecting dust as the years pass. 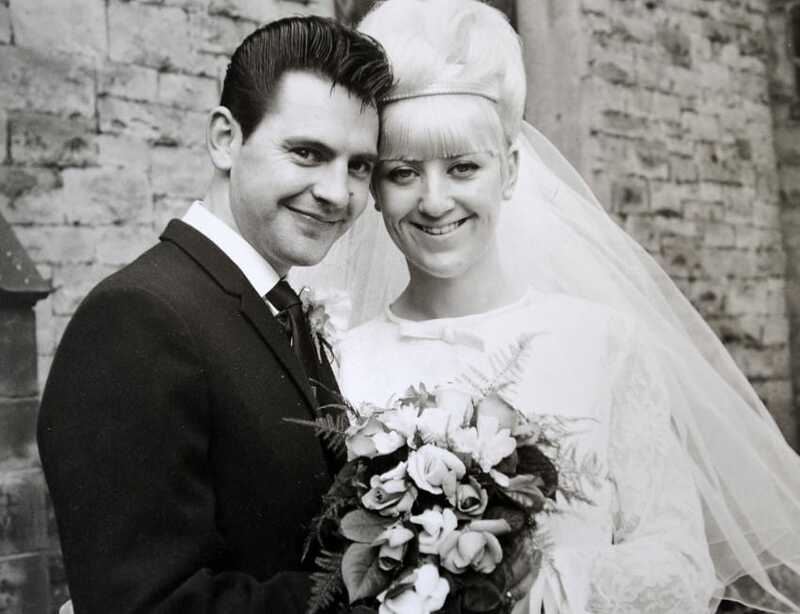 This was the case for Carole-Ann and Jim Stanfield’s wedding clothes, which were rediscovered by their granddaughter while she was snooping around for old family photos. 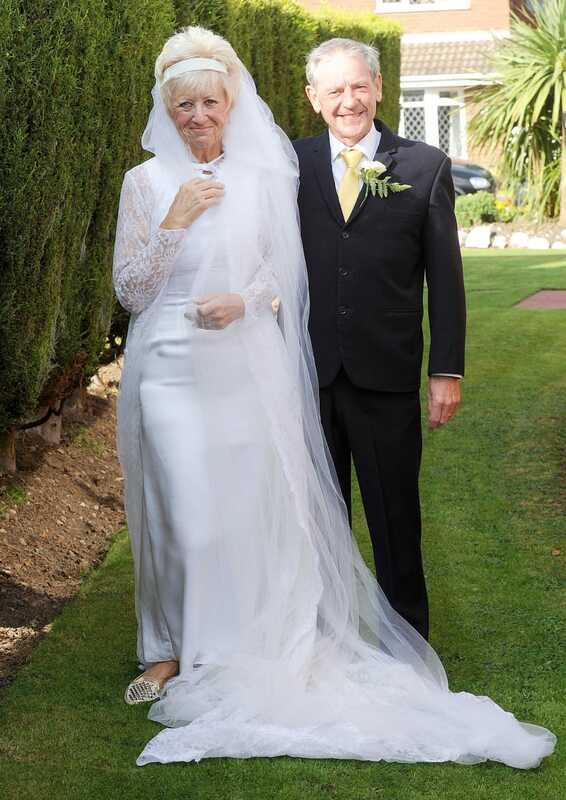 After she begged and insisted to have them try on the suit and gown, they reluctantly obliged and found that they still fit perfectly, though they hadn’t been worn in almost 50 years! Check below to see photos of the couple’s amazing outfits. 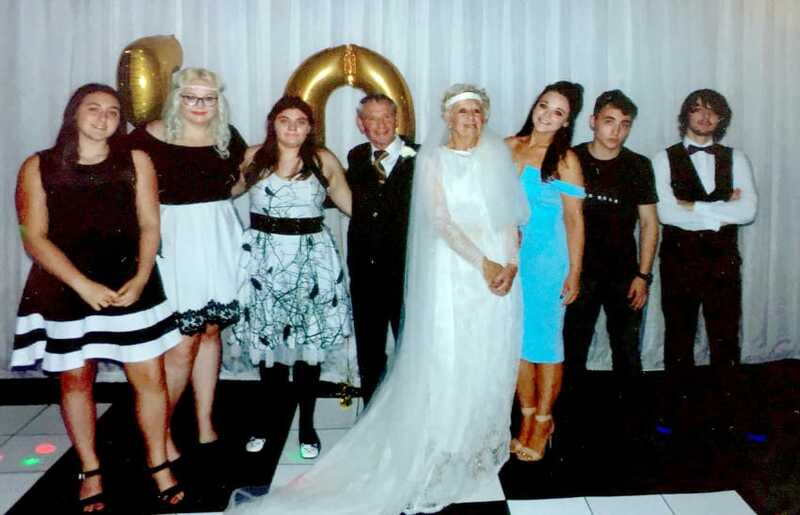 71-year-old Carole-Ann Stanfield and 74-year-old Jim Stanfield’s granddaughter, Hayley, was busy looking around their loft for old family photos when she found the cute old couple’s wedding clothes. Though the suit and gown had been collecting dust for almost half a century, Hayley begged for them to try it on so she could see. They reluctantly obliged and were absolutely “gobsmacked” when they got them on. 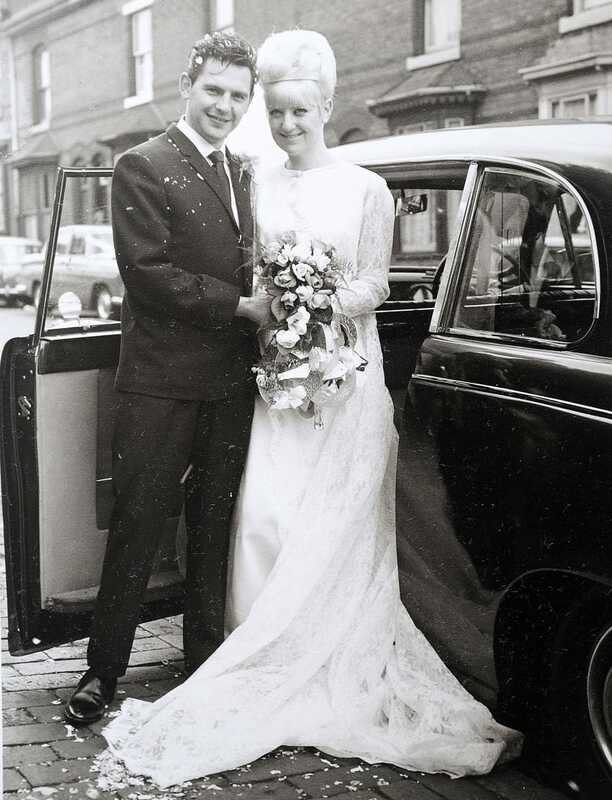 The clothes fit as perfectly as they had on their wedding day in October 1966! So the Staffordshire couple decided to re-debut the wedding clothes at a great big anniversary party. The party guests, many of whom were at their actual wedding, were shocked to see the couple looking almost exactly as they had 50 years ago! 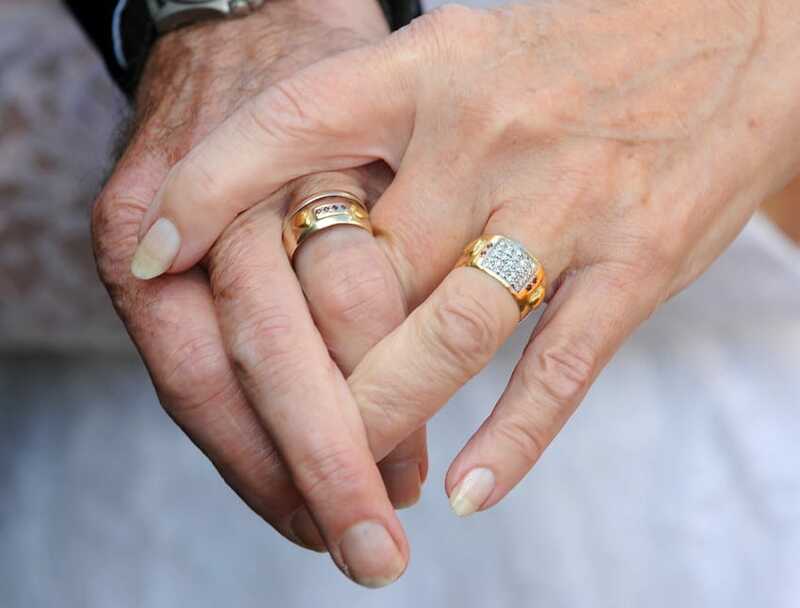 They also celebrated the milestone day by adding little hearts to their wedding rings — which, interestingly enough, were made from gold that Jim found with his metal detector. But these sweet symbols aren’t the only way that they’ve celebrated their love throughout the years. They also added 25 diamonds to the rings for their 25th anniversary, and four rubies when they celebrated their 40th! 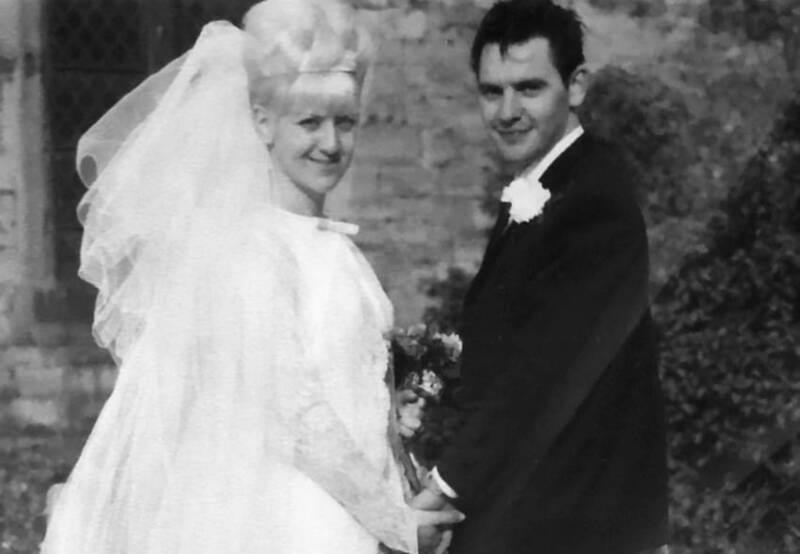 They first met at a men’s club where Jim worked in 1962. “Jim loved my big blonde hair, and I loved his humor. He is such a comedian and always makes me laugh. I think that’s the key,” Carole-Ann explained to Daily Mail. 50 years later, they have two children, six grandchildren, and a lifetime of amazing, sweet, and funny memories. Like their wedding clothes, the couple’s devotion hasn’t aged a day and has been carefully sustained through time, despite the passing years. “These days it’s all internet dating, and we probably never would have met that way because our interests are so different,” explains Jim. 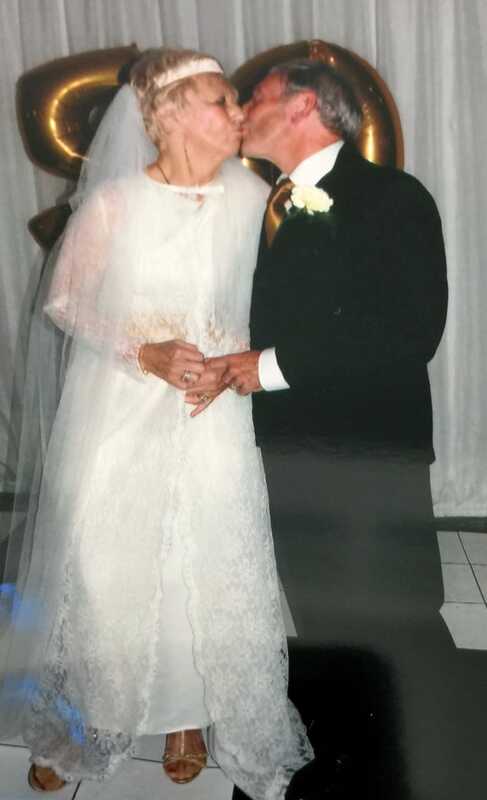 To learn more about Carole-Ann and Jim’s ageless marriage, be sure to watch the touching video below.